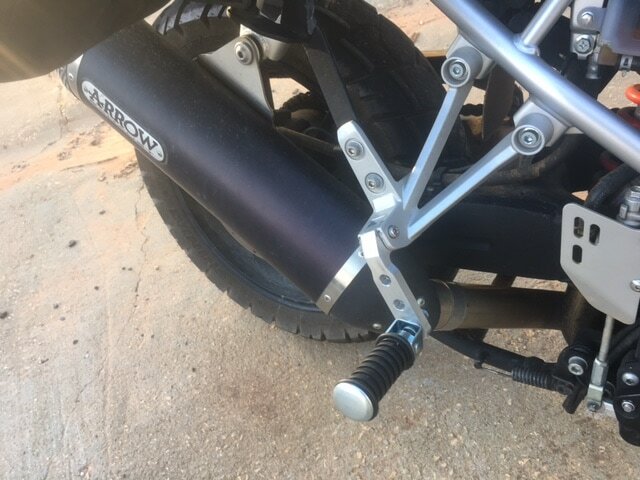 Passenger Peg Lowering - AdventureTech, LLC. 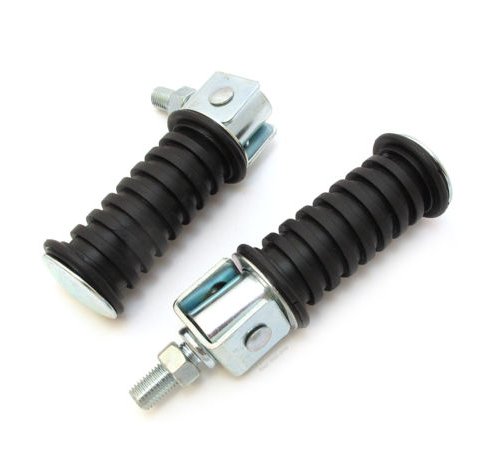 This kit moves the peg location down and forward in 1" increments allowing for a significantly more comfortable position for your passenger. Works on all V-Stroms regardless of model and year. 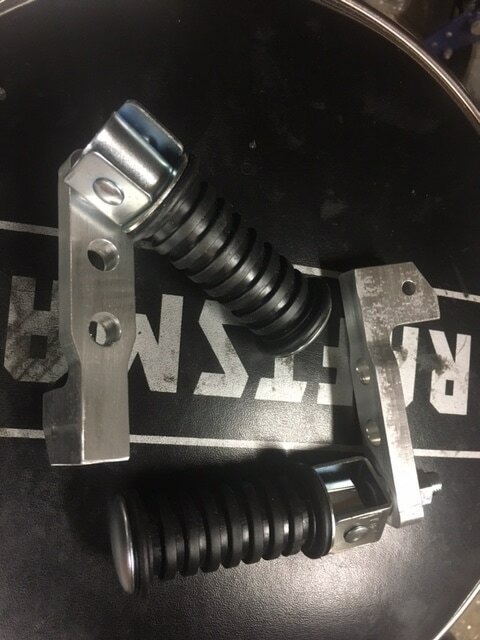 The kit provides a maximum lowering of 3" down with 2.5" forward movement. Even at this maximum position there is still plenty f room between the passengers boots and teh legs of the rider. Completely compatible with center stands. 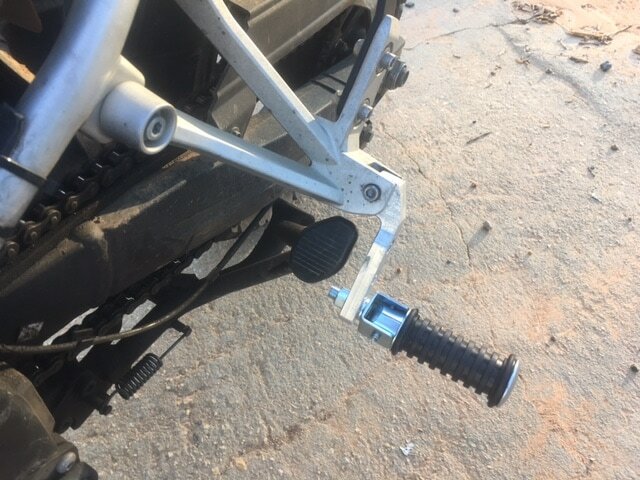 The brackets have been designed to move up out of the way allowing access to the centerstand. Here are some footpeg options. 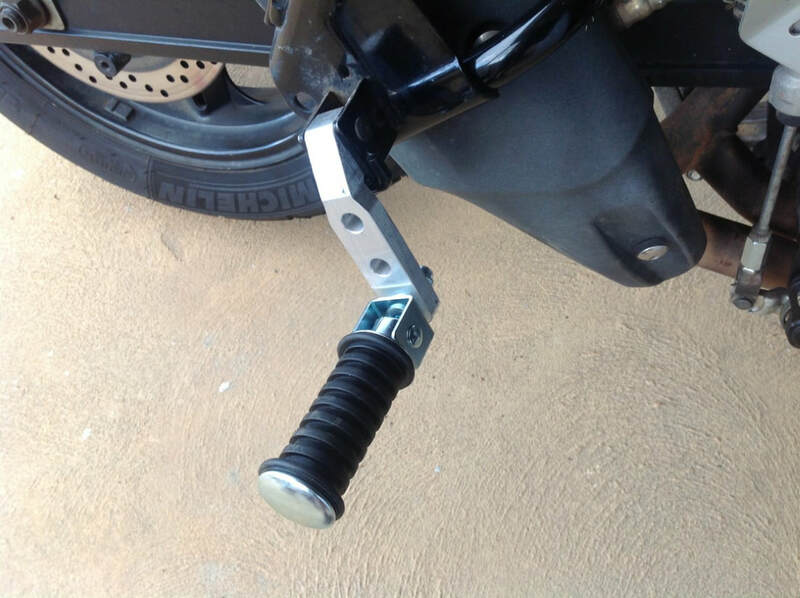 Check Ebay for Universal round passenger footpegs. 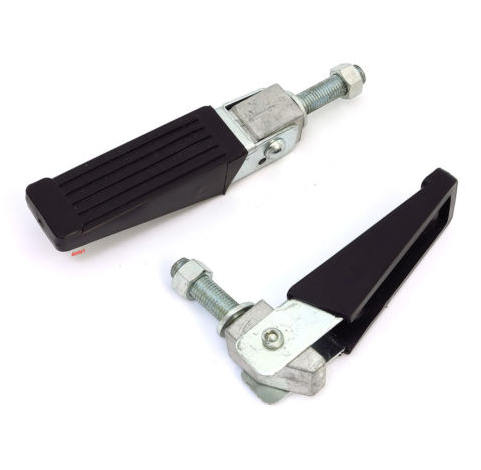 Here is another Universal rectangular foot pegs.